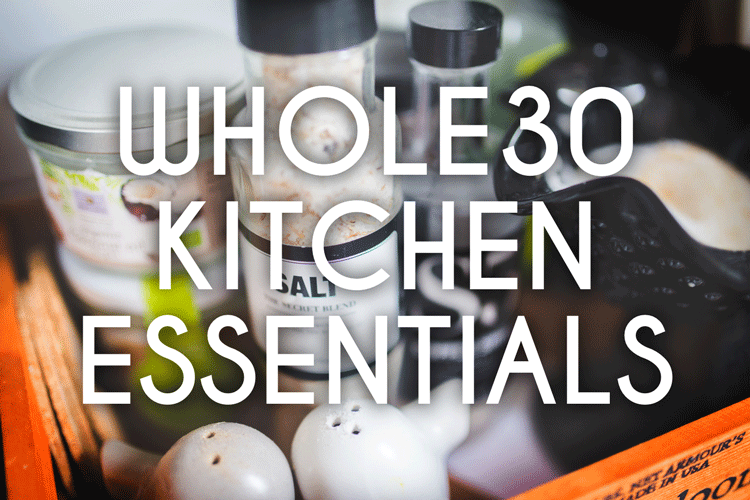 Most kitchens already have everything needed to complete the Whole30. However, for those of us who eat out regularly and don’t do a lot of cooking at home, knowing what’s needed to prepare food at home may not be obvious. Ladles, tongs and spatulas all come into play fairly regularly when cooking. A rubber spatula, whisk and slotted spoon are also good to have on hand. Good knives are vital during Whole30, especially a chef’s knife and a paring knife for smaller tasks. A grater and kitchen shears are also essential for preparing food at home. Too many items can quickly overwhelm you, and your kitchen. However, there are a handful of miscellaneous items such as a citrus press, zester, instant-read thermometer and colanders that will help tremendously when prepping food for the Whole30. It Starts With 30 is in no way affiliated with or endorsed by The Whole30. It exists as a compendium of supporting information intended for informational purposes only. Disclosure: It Starts With 30 contains affiliate links that provide compensation for certain purchases you make. It Starts With 30–Yoga Time!